A strong foundation in Christ will stay with a child throughout their lifetime. Those deep roots will hold firm (Proverbs 22:6). Here at DaySpring it is our goal for your children to be given those strong roots by planting, watering, growing and repeating that process as often as possible. Our desire is to see children from birth through 4th grade experience the love of Christ in a safe, fun and learning rich environment. All of us can remember our childhood, a time to enjoy life, learn and smile often. It is also a time to plant a firm foundation in Christ. The roots we plant in our childhood will stay with us throughout our lives. “Plant your roots in Christ and let Him be the foundation for your life. Be strong in your faith just as you were taught”, (Colossians 2:7). Children are like sponges, a child has a different relation to their environment from ours. . .the child absorbs it. The things they see and learn are not just remembered; they form part of who they become as adults. Just like in nature where seeds need water to grow, it’s true for the spiritual seeds we plant as well. This comes through hugs, each question answered in a Sunday School class, the studying of a memory verse and the like. Just as the gardener is busy always tending, so too are you as parents. And at DaySpring in our Children’s Ministry programming, we want to do our best to help add the necessary ingredients to your child’s life for optimal spiritual growth. Here at DaySpring we realize that growth is God’s doing. In 1 Corinthians 3:6 Paul gives God the credit for the results of his ministry, that is, the growth. In the same way we realize God’s incredible role in each child’s life. If they are to move from Acorn to Oak it will be because of God’s love, grace, mercy, help, His Word and guidance. God gets the credit. We plant and water. Int he book of Acts we see the early church meeting often. Our ministry tries to imitate that design. Planting, watering and growing is something that is taking place each time your child is with us.It’s this pattern of repetition that we hope is that extra ingredient that moves our littlest ones along in their journey from Acorn to Oak. Sons are a heritage from the LORD, children a reward from him. Psalm 127:3 Our nursery staff provides a safe, loving, and Christ-centered environment for children from birth through age two, offering separate nurseries for infants and toddlers. 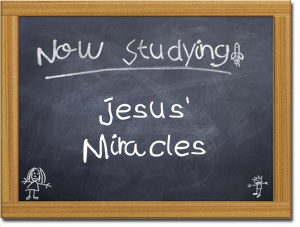 Now is the best time to lay a foundation of spiritual learning that will continue as your child grows and matures. During Sunday School, little ones discover the Bible using stories, songs, and simple crafts. It’s never too early to start learning about Jesus! Worship the LORD with gladness; come before him with joyful songs. –Psalm 100:2. Where are your little ones 3-5 years old while you are praying, praising, and hearing God’s Word? They are praying, praising and hearing God’s Word in Wee Worship! Engaging, active, and fun lessons lay the foundation of God’s teachings that include, The Lord’s Prayer, Children of the Bible, Ten Commandments, Psalm 23 . . . just to name a few! 3, 4, & 5 year olds are dismissed from service after praise and worship time. Are you in kindergarten – 4th grade? Come join us as we travel on Paul’s missionary journeys with your very own passport, experience Jewish customs and celebrations, or become an Ephesians 6 warrior for God! Songs, skits, puppets, and storytelling are just a few ways our children are taught and encouraged to love the Lord their God with all their heart and to love their neighbors. K-4th graders are dismissed from service after offering time, with the exception of the 5th Sunday. DaySpring Dinner Theater Club (DDTC) is a ministry for children from Kindergarten through 5th grade, designed to help them share God’s Word through musical production. Children and their families gather for a meal and then it’s off to play practice for the kids. The kids put all their practice to the test in a performance held in December. Children are encouraged to invite friends, family, and neighbors to the big event. Don’t miss it, there’s singing, dancing and a whole lot of drama going on! The 3 and 4 year old children participate in their own special Bible class, but are included in parts of the drama event. 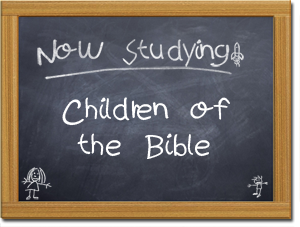 Beginning in January, children 3 years old through 4th grade, participate in graded Bible classes. Emphasis is on topical studies, life application and challenge. There are some great studies for these age groups that begin challenging them not only about what they learn, but how to apply it to their lives. A Nursery is offered year round for infants through 2 year old children. KidsPray is a great opportunity for children age 4 years old to 4th grade to become comfortable with praying. It is designed to engage children through Scripture, creative illustrations, times of prayer, and hands-on activities that teach children to make prayer a very real part of their lives. KidsPray meets during Adult Prayer Night at 5:00pm, on the fifth Sunday nights of the year. A time of fellowship for Mommies of young children aged 2-5 (younger siblings are welcome). Be on the lookout for Mommy & Me activities like Fall Fun Day, Mommy and Me Christmas Craft and Dads n’ Doughnuts! Activities are planned for age groups K – 2rd grade and 3rd – 4th grade that incorporate spiritual fellowship and outreach through fun activities. Relationships with God, friends, and others are developed and deepened through events that may include a trip to the corn maze, raking leaves, outreach in the community, or a crazy game night! Join us for times you’ll never forget! Come “Hang Out Together”! Add some exciting days to your children’s summer that they will remember for a lifetime! Age specific programs encourage youth to focus on the most important relationship in life—the one with their Creator. Fun adventures, laughter, and incredible memories are shared with children from all over the state of Colorado. 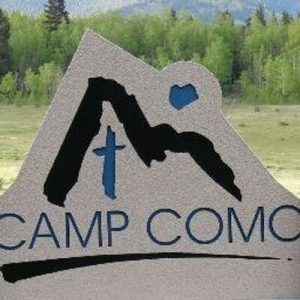 Camp Como is located in the mountains near the town of Como! For more information go to Camp Como.